For the restoration of a set of teeth displaying a wide gap, their advantage lies in the problem-free enlargement of the replacement dentures. It is also eminently suitable if one of the pillar teeth has been removed. However, The technique requires a high standard of preparation and processing, both by the dentist and the dental laboratory. A disadvantage of the telescope crown is that can appear a bit clumsy and bulky due to its structure. Viewed externally, this form of prosthesis is indistinguishable from a full prosthesis but has the benefit of secure attachment and increased bearer confidence. 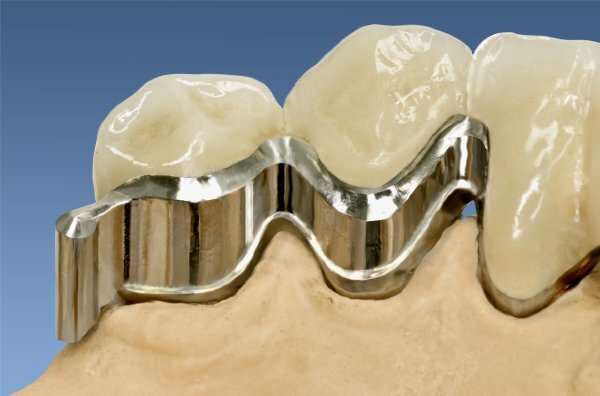 Next to attachments, telescopic crowns are standard in Germany, Switzerland and Scandinavia for the treatment of large dental gaps with a prosthesis. If single teeth are missing and tooth implants are out of the question, removable dentures are often used. In this context the so-called attachment is applied. 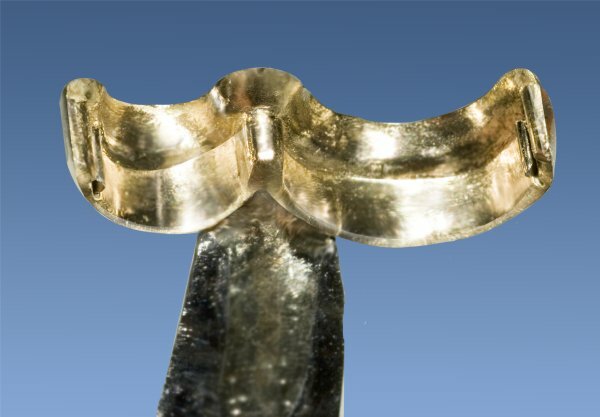 This is a mounting or mounting element which serves as a connection between the remaining teeth and/or single, crowned teeth, the so-called anchor teeth or abutment teeth. Extracoronal attachments have fittings to the tooth exterior. The loss of dental substance during preparation is far less as the important components are situated on the exterior of the crown. ). This does however mean that the line of force or load is not along the tooth axis. A further disadvantage with extracoronal attachments is, for example, that cleaning is made more difficult for the patient due to projecting elements. Here, the precision elements required for the attachment of the denture are placed interdentally between two or more primary interlocked tooth columns. 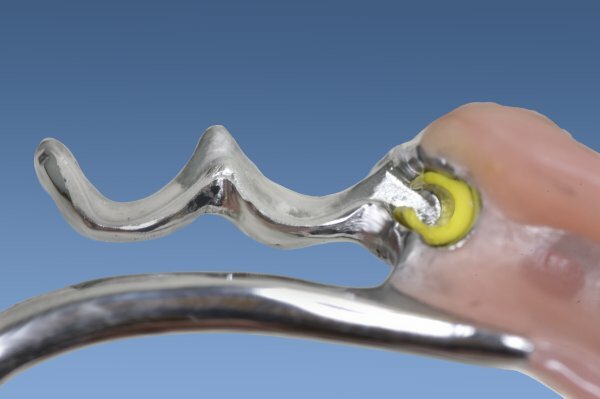 Again, this complicates care of the interdental area between the connected crowns (1). All these attachment variants can be purchased either off the shelf or preferably individually tailored by a good dental laboratory. In order to avoid detrimental forces on the sometimes delicate attachments, they should always be used in combination with stress breakers. RSS attachments (a form of double shouldered attachment known as Rillen- Schulter- Geschiebe or RSS-Geschiebe in German or Groove-shoulder attachment by Bego 2001) are prepared in a similar manner to bonded crowns. Horseshoe shaped elements are attached to the oral side of the crowns (hiding them from view) to which the matching interlocking denture with mirrored elements can attach).